Glycosaminoglycans – How to measure Glycosaminoglycans and Proteoglycans? Today, I invite you to take a closer look at another component of the extacellular matrix (ECM) – Elastin. Visual representation of skin changes over a lifetime. Elastin is a highly elastic protein in connective tissue and enables tissues in the body to resume their shape after contracting or stretching. 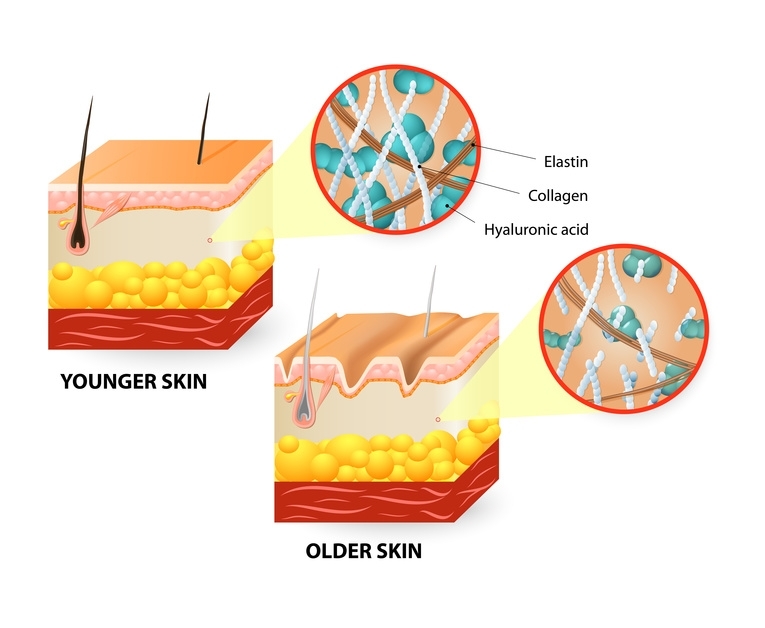 Elastin helps skin to return to its original position when it is pinched or poked. During aging, elastin appearance decreases. The ELN gene encodes a protein which is rich in hydrophobic amino acids like glycine and proline, which form mobile hydrophobic regions bounded by crosslinks between lysine residues. A number of transcript variants encoding different isoforms are know for this gene. Together with the elastic microfibril (consisting of proteins such as microfibrillar-associated glycoproteins, fibrillin, fibullin, and the elastin receptor) elastin forms so called elastic fibers in the ECM of connective tissues. Deletions and mutations in the ELN gene are associated with Supravalvular aortic stenosis (SVAS) and the autosomal dominant cutis laxa (or Chalazoderma or Dermatochalasia). Further elastin-related defects include Marfan syndrome, emphysema, atherosclerosis, Buschke-Ollendorff syndrome, Menkes syndrome, pseudoxanthoma elasticum, and Williams syndrome. 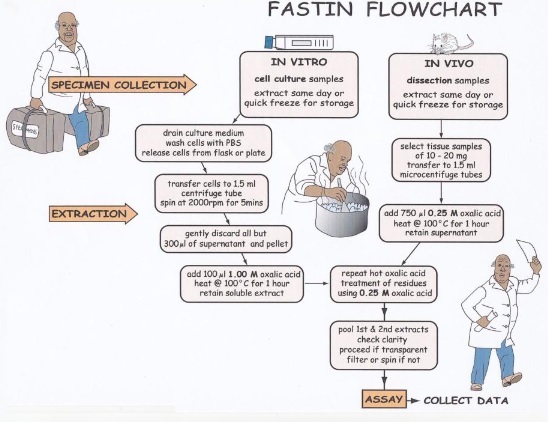 Which elastin forms can be measured by the Fastin Assay? Fig. 2: Extraction of elastin from mouse tissue by hot oxalic acid digestion. The extracts shown were pooled and expressed as μg elastin per 10 mg wet tissue. microplate reader, with a suitable colour filter (absorbance peak of dye occurs at 513 nm). 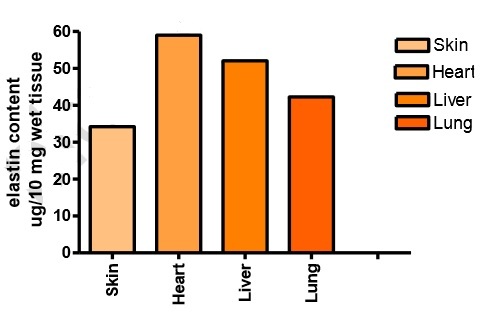 Typical results of elastin measurements (in mouse tissue) are shown in Fig. 2. Interested in measuring Elastin – or any other components of the extracellular matrix – in biological samples? Don’t hesitate to get in touch through the form below!